Is John McCain good for business? U.S. presidential hopeful Senator John McCain, seen with his wife Cindy, speaks to a group of supporters Tuesday after he won major state primary victories. 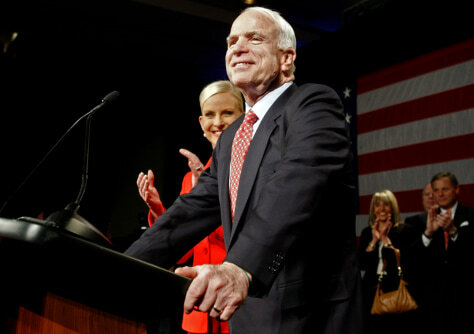 While McCain has often sparred with big business interests, he is also a major corporate fund-raiser.